GATE CS 2017 exam was conducted on February 11th 2017. The exam was conducted in two sessions. 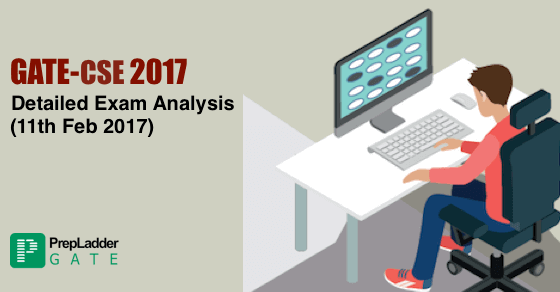 This blog will familiarize you with the Detailed Exam Analysis of both the sessions of GATE CS 2017. The Exam Analysis has been compiled on the basis of the genuine reviews and opinions of candidates who took the GATE CS 2017 exam. 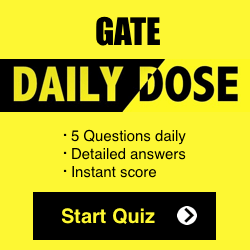 In order to assist you in your GATE preparation , We provide daily Free Quiz , study tips , preparation Tips for GATE 2018 preparation . Overall Difficulty level was ranging between Easy to Moderate. Majority of the questions were direct and concept based. It was observed that more weight age was assigned to Topics such as Theory of Computation, Computer Organization & Architecture, Engineering Mathematics while the weight age of Discrete Mathematics and Design & Analysis of Algorithms has come down this year. Overall, it can be said that GATE CS 2017 paper was Easier in comparison to previous year. We hope that the Detailed Exam Analysis will surely prove beneficial for all those aspiring to appear in GATE 2018.